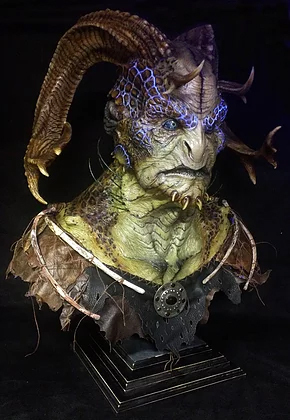 April 15, 2019—Wayne Anderson, makeup effects artist and sculptor who has worked on the Netflix series “Stranger Things” and numerous movies, will present an artist’s talk and demonstration beginning at 8:30 a.m. Wednesday, April 24 in the Kemper Recital Hall inside Spratt Hall. The presentation is free and open to the public. Anderson will talk about his work from 8:30 to 9:30 a.m. From 9:30 to noon, he will provide a sculpting demonstration. Anderson’s appearance is sponsored by the Missouri Western Arts Society, the School of Fine Arts, the Department of Art and the Department of Theatre, Cinema and Dance.